The American nu metal band hails from Bakersfield, California and was formed in the year 1993. The band’s music generally incorporates nu metal and alternative metal. The band’s current line up consists of the following four members which includes lead vocalist and bagpiper Jonathan Davis, guitarist and backing vocalist James Shaffer, bassist Reginald Arvizu and drummer/percussionist Ray Luzier. 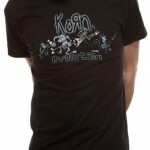 Initially Korn came up with their first demo album titled ‘Neidermeyer’s Mind’ in the year 1993. Later in 1994, the band came up with their eponymous debut album which made them instantly popular. Their second album ‘Life Is Preachy’ was released in the year 1996. However it was only with the release of their third venture titled ‘Follow the Leader’ that the band was able to gain mainstream commercial success. The band’s album peaked at #1 on Billboard 200 in August 1998. 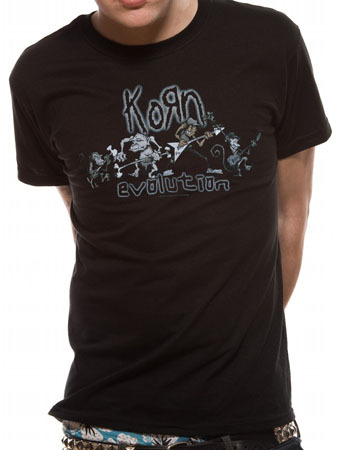 Korn has so far sold around 19 million albums in US alone and around 35 million albums worldwide.